And soup is great! Amy's Kitchen has a great selection of delicious soups, ranging from No Chicken Chicken Noodle to Thai Coconut Soup in the style of Tom Kha Phak (which is seriously, seriously good), and many of them are vegan (the vegan soups have a big bold VEGAN written at the start of the ingredients list). 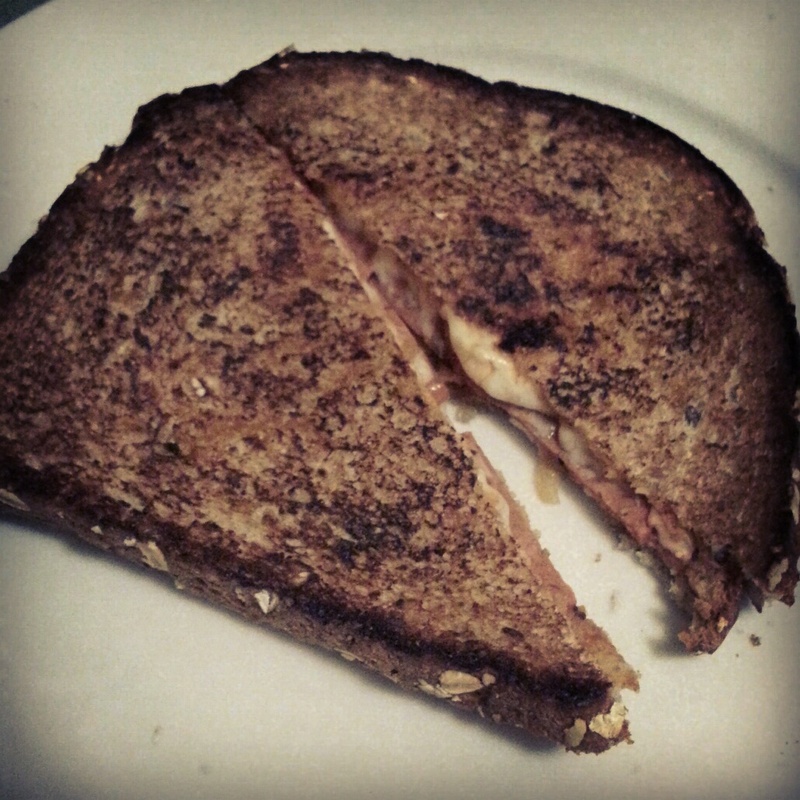 Well, lucky for us, I worked up an easy vegan grilled cheese that rocked my dinner socks the other night. 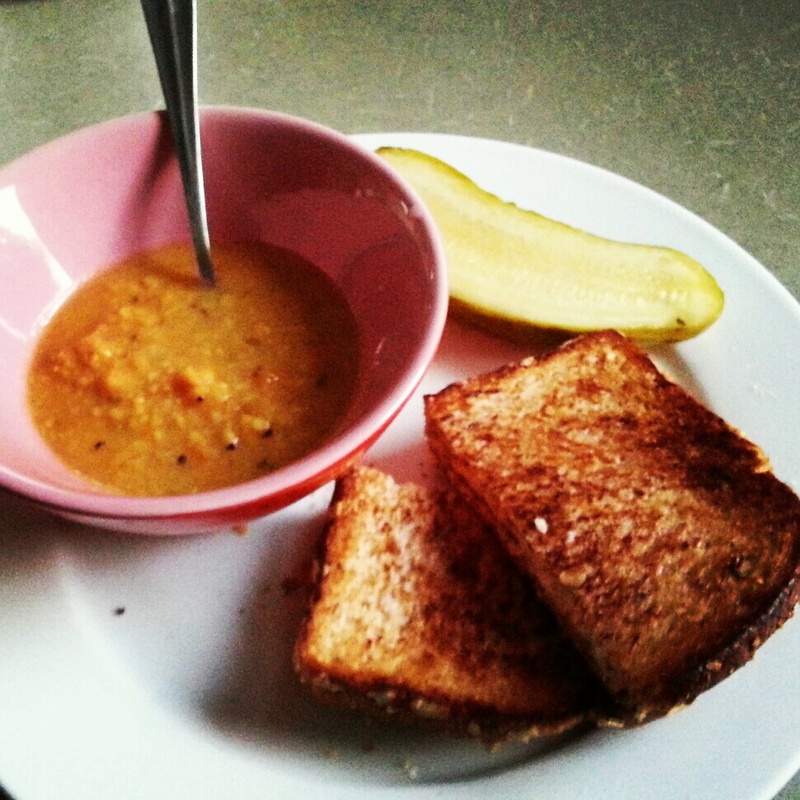 This is just the normal kind of grilled cheese, with a little kick to it with added Dijon mustard. Preheat a skillet over medium heat. Allow the skillet to heat up while you prep the ingredients (like shredding the cheese), but keep a close eye on it... you want the skillet to be hot when you grill your cheese, but you don't want to start a fire or burn out the bottom of your pan. Melt the Earth Balance in the pan and allow it to coat the bottom. 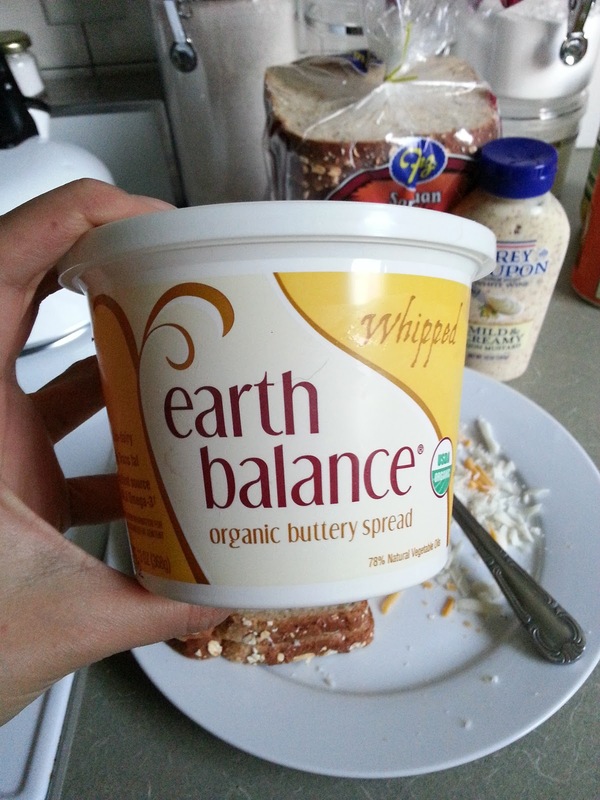 Earth balance is an awesome butter alternative and you can use it as a spread or as a cooking agent. Spread the dijon mustard on the inside of each slice. You only need a little layer of this to get a big bang for your buck... it takes the mild flavor of vegan cheese and sharpens it up. 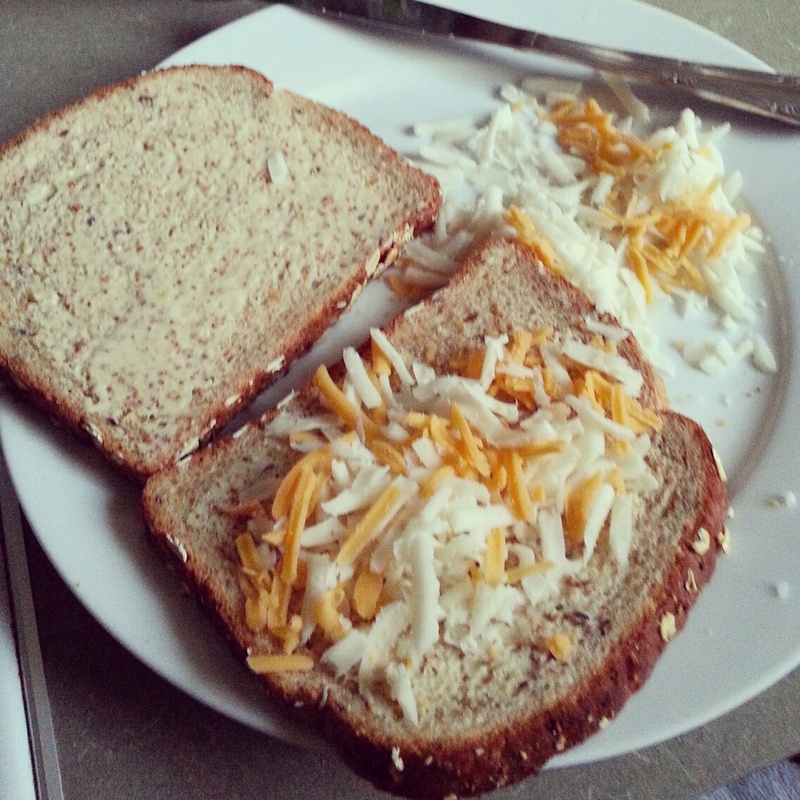 Sprinkle the cheese over the mustardy sides on each slice of bread, then put the slices together (cheese on the inside). 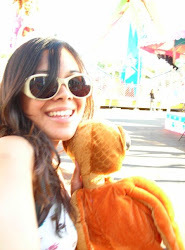 Before the big vegan experiment, I used to like to put Miracle Whip or tangy mayonnaise on the inside of my grilled cheeses, which is incredibly delicious... but not vegan-friendly, unfortunately. 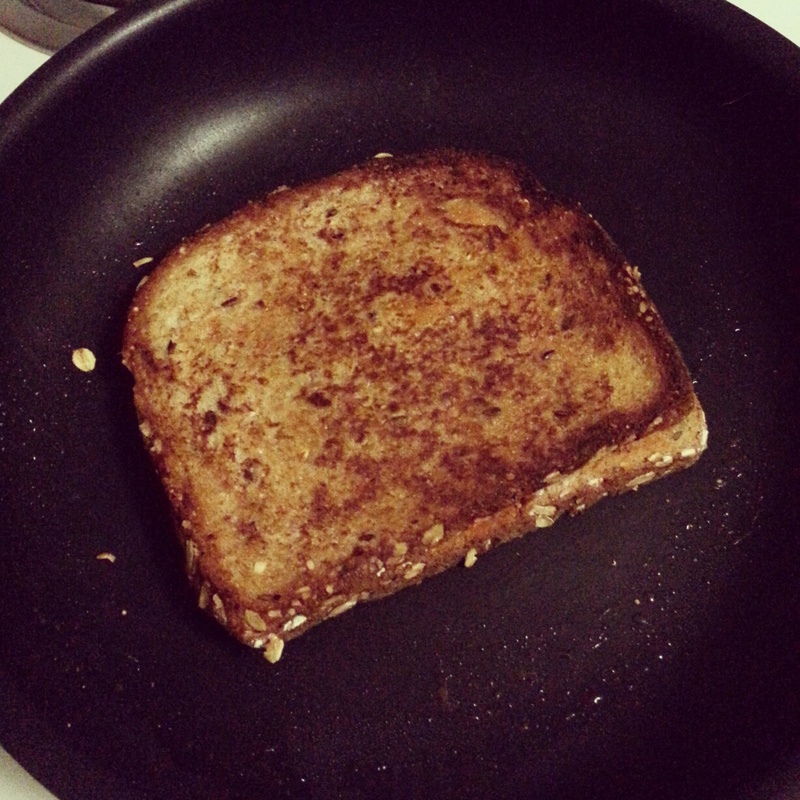 Lay one side of the sandwich into the pan and press down with your hand (squish that baby into grilled goodness). Grill until that side is all brown and crispy (not burnt, though, so keep a careful eye and nose on it). Flip it over carefully and brown the other side of the sandwich. Serve warm, sliced in half and along side your favorite soup. 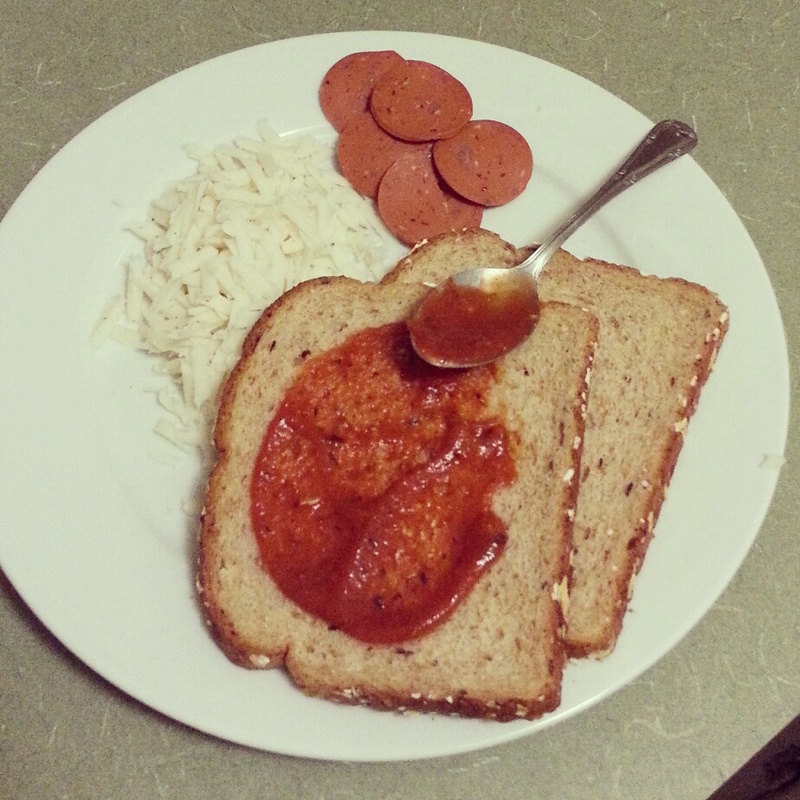 For this meal, I had Amy's Golden Lentil... sooooo good.... and a pickle! Preheat a skillet over medium heat. Melt the Earth Balance in the pan. 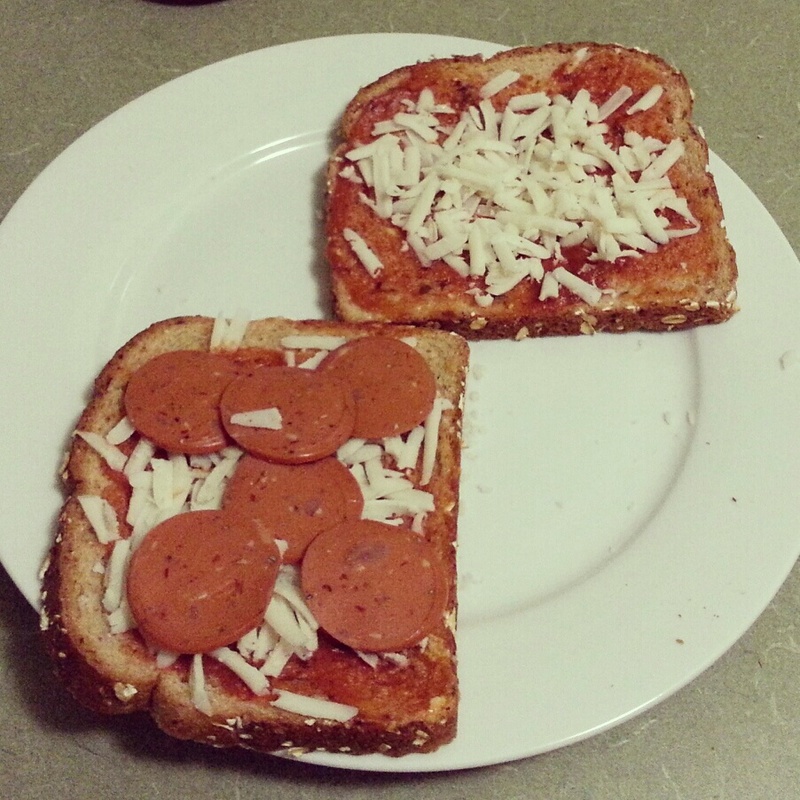 Spread 1 tbsp of pizza sauce on each slice of bread. Coat it lightly so that it doesn't get everywhere, or, if that's your kind of thing, then go crazy. Sprinkle the vegan cheese on each slice, then top one slice with pepperoni (they look like little pizzas!). Put the slices together, then place in the pan to grill until the bottom is brown and crispy. Flip and grill the other side until brown and crispy also, or cheat and poke at the corners to see if your cheese is all the way melted. Serve warm, or refrigerate over night for an authentic pizza lunch experience.